Sargent HS and Loup County HS have agreed to combine students for high school sports. The new name will be the Twin Loup Wolves. Team colors will be burgundy, black, and silver. As the winter season is upon us, it may be necessary on certain days to either close school, start school late, or close early due to inclement weather. Due to the fact the district covers a considerable amount of square mileage, weather conditions might differ in different parts of the school district. The district's continued effort will be to provide for the safety of all students. It is important, should both parents work or not be at home during regular school hours, that the student know where he or she can go should an early dismissal of school be necessary as weather conditions can change in a short period of time. It is possible that the buses may return some mornings after they arrive at school or be turned around during their route. Due to severe weather conditions that may improve during the morning hours, school may begin later, rather than at 8:20 AM, and buses will run accordingly. The first school was started in 1880 and the present school District #84 was created in 1884 with 25 students. By 1915, the enrollment was at 215 and by the 1940's, the students numbered 340 with 15 teachers. 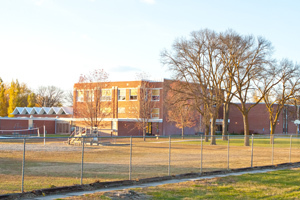 Currently, for 2010-2011 school year, the school has 169 students enrolled. In 1967 several smaller school districts consolidated with Sargent #84 and a complete bus schedule was added. The district currently covers nearly over 200 square miles. 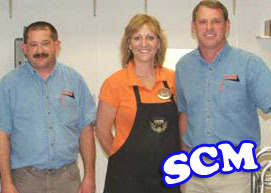 Sargent Corner Market donates 1% of total receipts given by customers when you shop at SCM. You can find the box next to the check out counter during the months of Sept. 1st thru April. Just drop your receipt in the box... it's that easy! Sargent Public School has participated in this program for quite awhile now but it's always good to remind everyone! Have your child or stop by the school main office to drop off clipped box tops education coupons! One can make a difference! Visit www.btfe.com for more information on which products carry this coupon. Our school has joined the My Coke Rewards for Schools program. What does that mean? It means every time you enjoy a participating Coca-Cola product, you can donate the My Coke Rewards points to our school. The donations will help give our students things they need, like sports gear, creative supplies, books, classroom tools and more! For more info click here for PDF info. Or visit www.mycokerewards.com/schools to learn more! We are now accepting (CLEANED out) #1 and #2 ONLY plastic bottles. We are also accepting aluminum cans. Please bring them to the east entrance to the gym, or contact Jet Mankle to pick them up. This is being done as a KEEP NEBRASKA BEAUTIFUL program.